Let’s all face reality now, Trump has won. And if you have been following the news, it hasn’t been the most peaceful of wins. Despite Trump’s wish to “unite” all Americans –democrats and republicans alike- strikes and demonstrations have since broken out in various states across the US. 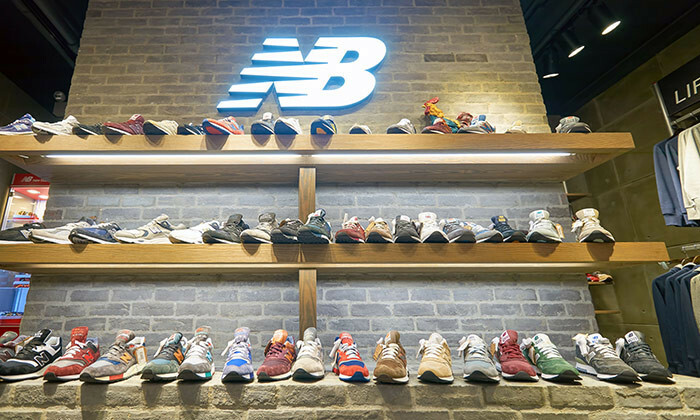 Amidst all of this, one sporting brand New Balance displayed its support for the new POTUS. Giving a statement to the Wall Street Journal, the company’s spokesperson said that they had felt the Obama administration had turned a “deaf ear” to the brand and Trump coming on board was a “move in the right direction”. But this has resulted in backlash. Many people have been sharing videos and pictures of themselves burning their New Balance shoes. In a conversation with Marketing, Gaynor Reid, VP of communications of Accor Hotels said that in such instances where people are still charged up with emotions, it might suit brands to stay A-political. Speaking of her own experience, she said while the brand had initially thought about creating a campaign in Canada welcoming US guests, the team ultimately decided not to do so. “I think we always try to stay A-political because we are global and we would not want to alienate any of our guests. So while it might be easier for younger brands to take a stance or newsjack such a situation, it gets harder for more established ones,” she said. Lars Voedisch, principal consultant and managing director of PRecious Communications added that if companies want to make statements at this point they need to learn to live with it. It is fine to make statements about policies that need to change, but an opinion on the person(s) and leadership might be a thin ice to tread on given there is a clear sense of “winner and loser” in this campaign. “It is okay to have an opinion or stand if you really want to take a risk. But politics and people are thin ice to tread on and brands need to be smart about the sentiments of people right now given it was one of the hardest and ugliest campaign,” he added. Voedisch also added that news jacking at this point might not be the way forward because the political climate is still heated and even if the brand doesn’t want to take a side, it can risk alienating its fans. But going forward, he thinks many brands will play up issues such as change and surpise given how the year panned out with Brexit and Trump winning. Parks replaced skyscrapers, homes replaced offices, and families were brought closer together - these are the dreams of Singaporea.. The agreement will see Hotwire work with The Hoffman Agency’s wholly owned offices across Asia Pacific with immediate effect. .. The Airbnb's new "obscene" logo has the internet talking for days. But what is being talked about is not only the logo, but also t..